If you're having trouble with specific steps in that process, I'd recommend immediately going to the IOTA discord and asking for help. It might be easier to get real-time assistance for a time sensitive issue like trying to beat out a pending stolen transaction. The transaction has been "confirmed". 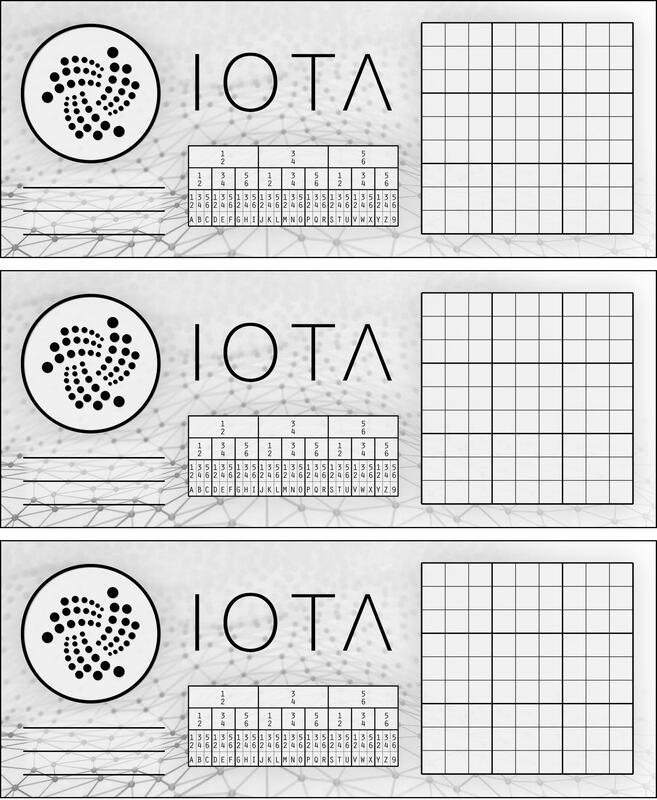 Is there any chance to get my IOTA back? Pleas help me! Thank you for your support. There is so many users who lost their balance like me. Is there any chance to get at least some of the coins back - in the context of a compensation or something? I guess the IOTA foundation keeps currently millions of coins. No. If you think about it. Who would they give it to? They have no way to know who the seed actually belongs to. The people stealing the funds have the original seed too after all. Plus what is happening now is because someone is scamming people by giving them compromised seeds. The iota technology isn't the problem here. It's human in nature. I'm not saying that makes it ok or not tragic. I really wish there was more I could do to help. Lots of 1.9 Gi transactions though. If you're unsure if the transaction is pending or confirmed, I would urgently and aggressively pursue the steps in number 1 of the instructions of this thread. There's only a limited window in which you'll be able to save your funds, so you might as well get the ball rolling now just in case it's still pending. I know it is not technically correct, but I seriously think HelloIOTA should use the word "master password" instead of "seed". I believe all people are familiar with password safety, because they already have password at banks, etc. However the term "seed" is used in bittorrent as as a synonym for sharing. Uneducated people would think this seed value can be shared with others, or can be generated online without fear of being stolen. On the other hand I think nobody would generate his/her bank account password online, as they already know that passwords are for private use and can be stolen. The confusion might also come from the fact that publicly available IOTA addresses look very similar to address seeds, at least to human eyes: 81 characters vs 90 characters is hardly distinguishable, at least when the two are not directly after each other. While addresses are public, seeds are of course not. However one might pretty easily mix those up and post his/her seed (aka. master password) instead of the address. If one is not careful enough to immediately transfer the funds to another address generated with a new safely generated seed, and an attacker can somehow connect that user's identiy with his/her IOTA address, then the funds can be stolen. A GUI wallet should at minimum be able to generate seed on its own and offer a way to securely store it encrypted by a user password. Also minimum 10 character long passwords should be enforced for encrypting seeds. I believe replacing the term seed with master password, and freeing the user from the burden of generating safe seeds and instead use the more familiar password mechanism would greatly reduce stolen IOTAs. I understand that IOTA was designed for machine-to-machine transactions, and machines are not prone to stupid errors like humans, but there is already a massive human user base and I think it will exponentially grow this year. So it's best protecting IOTA's reputation before it's too late. The confusion might also come from the fact that publicly available IOTA addresses look very similar to address seeds, at least to human eyes: 81 characters vs 90 characters is hardly distinguishable, at least when the two are not directly after each other. Sorry, addresses are also 81 character long, only 90 character long when checksum is also included. So they are practically indistinguishable from each other to the human eye. And also transaction hashes look very similar. So it is very easy to mix them up. Do what you can do Have a good night and thx for your support!!! Someone has posted iotaseed.io, one of the most dangerous SCAM sites 5 months ago, and no one has removed that post, or at least followed up by a THIS IS A SCAM, DO NOT EVER USE IT post. Unfortunately registration to forum.iota.org has been closed for some time now, mostly because of scams and spams like this. Otherwise I would have already posted there, as I see already some few hundred people reached that scam site via "official" iota forum. Follow the instructions in the original post. All of the information and contacts (discord) that you'll need are included there. Unfortunately registration to forum.iota.org has been closed for some time now, mostly because of scams and spams like this. Otherwise I would have already posted there, as I see already some few hundred people reached that scam site via "official" iota forum. " The iota.org forum hasn't been active in a long time. This does appear to be a bad situation! I'll see what we can do to remedy this problem of having old posts on that forum possibly leading users astray. Thank you very much for pointing this out. I agree 100% with iq34acal and his points regarding security and so on! Ialso wanted to transfer my MIOTA away from the "unsecure" exchange and the only thing was the damned light wallet. So I ended up storing it in there.... thanks to IOTA foundation it's gone!? and I would be glad to get my 8695 MIOTA back! iq34acal: you are right, until proper wallet GUIs are implemented that do not require external seeds, at least a huge warning window should be shown indicating the seeds should never, ever be generated online. Have 3 dices and roll them. If the first dice shows 1 or 2, go to left in the second row, if 3 or 4 go to middle, if 5 or 6, go to the right. If the second dice shows 1 or 2, go to the left in the third row, if 3 or 4 go the middle, if 5 or 6 go to the right. Then do the same with the third dice: if it shows 1 or 2, go the left in the fourth row containing letters on the left, if 3 or 4 go the middle, if 5 or 6 go to the right. For example rolling 3, 2, 5 would yield L, then rolling 6, 1, 4 would yield T, etc. You will have to roll all the dices 81 times, but at least you can be pretty sure you have a quite random seed. At least much more random than using an online generator whose source of randomness you cannot be sure of (or whether it is stored on their servers), and much more random than just bashing the keyboard or trying to randomly type 81 capital letters and 9s. It looks like if somebody has stolen my Iota. I hope this is a problem with wallet.